Many of the Lake Tahoe Marathon events are occurring this same weekend. Click here for a schedule and plan a multisport family weekend. 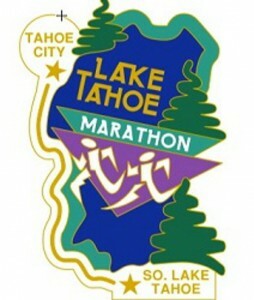 Click here for Lake Tahoe Marathon Registration. A discount code for 75% of your race registration fee will be offered until 14 days days prior to the race date. No discounts codes will be given within 14 days before the event, if the event is not sold out. Discount codes can be used to register for another Big Blue Adventure, LLC event and will be valid through 12/31 of the following year. We allow you to make changes to your class up until 7 days prior to the event. For example moving from 1.2 to 2.4 mile. Participants will be charged additional registration fee if moving to a more expensive class option. Click here and then enter the confirmation code you received after your online registration for the event.